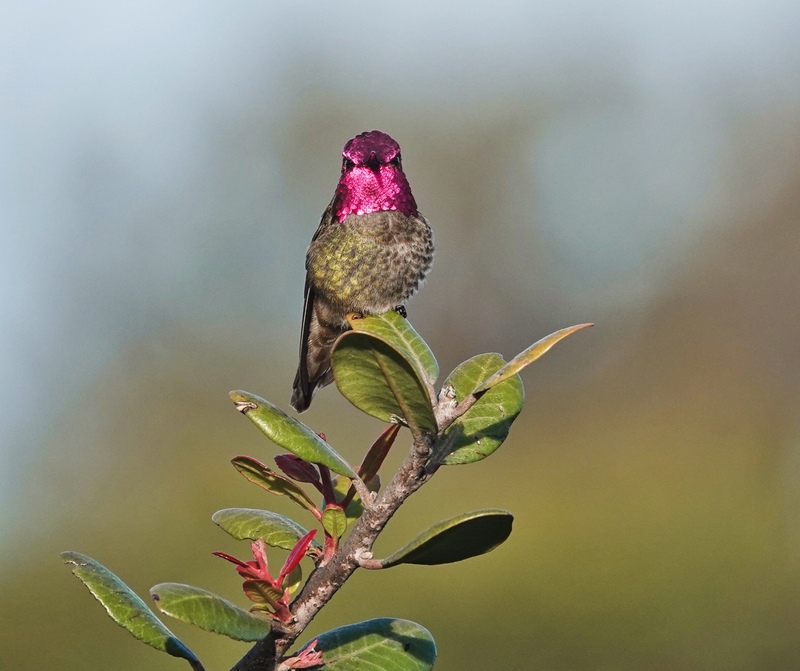 Anna’s Hummingbird, like this one photographed at Famosa Slough in San Diego, is generally the most common hummer in coastal southern California. This year there were almost as many, maybe more, Allen’s, but that is, in my experience, unusual. Famosa Slough is my go to place to photograph Anna’s. It is easy as there are generally at least 2 males on territory near the end of the trail on the north side of West Point Loma Boulevard, and sometimes one on territory in the little garden between the boulevard and the water on the south side. The trick is getting one to sit with the sun illuminating the gorget. This one cooperated for just long enough to snap off one burst, and then was gone again. Sony RX10iv at 600mm equivalent. Program mode with my custom birds and wildlife modifications. 1/640th @ f4 @ ISO 100. -.3EV. Processed in Polarr.